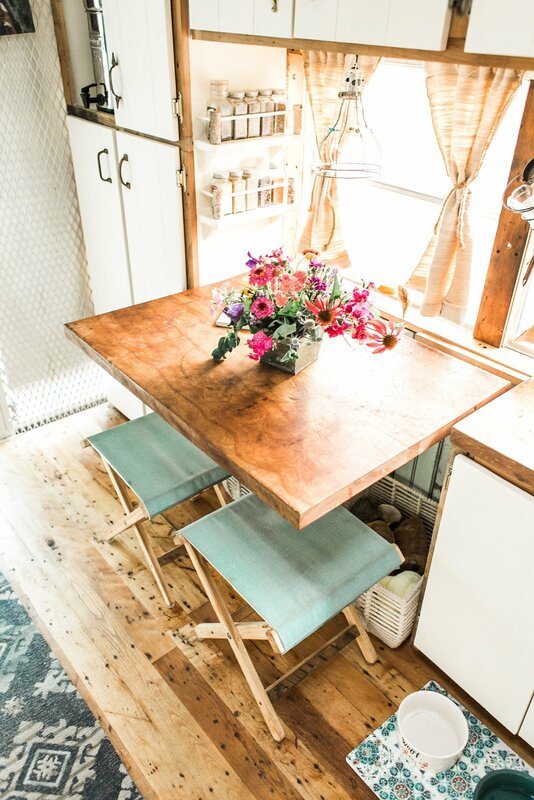 Our dining table is a real reclaimed butcher block, refinished simply with tung oil. We made the director's chairs ourselves with leftover hickory & strong outdoor fabric. Our spice rack has birch tree segments on each corner. We tried to be as resourceful & frugal with the build as possible.